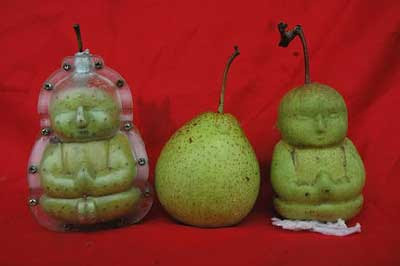 A Chinese farmer is cashing in after managing to grow pears in the shape of Buddha. Gao Xianzhang, of Hexia village in northern China’s Hebei province, puts molds on the fruit growing on the tree. And he says that after six years he has perfected his technique.